St Barnabas, Inham Nook, stands at the top of Inham Road, at the western end of the parish of Chilwell. 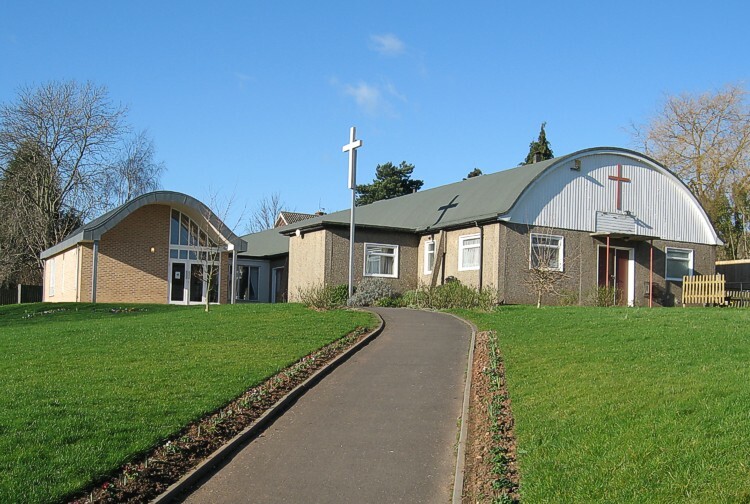 It was opened in 1957 as a daughter church of Christ Church, Chilwell, to serve a new housing estate, Inham Nook, built after the Second World War. The building on the site today was originally intended as a church hall, with a large open space left adjoining Inham Road for the church. It became clear that funding would not be available for a new church, and at various times in the past fifty years the building has been modified to provide suitable church and community facilities. A major extension completed in 1999 has converted the building into a main hallway, used as a church and, during the week, community area (with shutters to close off the sanctuary), and rooms, a kitchen and modern toilet facilities to provide space for additional church and community activities. The church remains a daughter church of Christ Church, but operates independently both in church matters, and financially.